While wrinkles are certainly visible on the surface of your skin, they are truly more than skin deep. 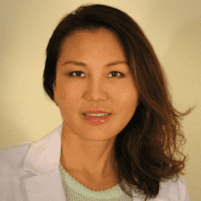 At Dr. Chow's Rejuvenation Practice in Lee’s Summit, Missouri, Amy Chow, MD, an aesthetic medicine and anti-aging specialist, offers BOTOX® Cosmetic to treat wrinkles from within. Botox targets the muscles that, after years of making facial expressions, left lines and wrinkles around your eyes and across your forehead. Find out if Botox is right for you. Call the office to schedule a consultation or use the online booking tool. Dr. Chow or an experienced member of her team injects Botox into the areas around your eyes and forehead to temporarily relax the muscles that cause wrinkles. Botox doesn’t prevent you from moving your muscles or making natural facial expressions, but it reduces muscle activity just enough so you see smoother skin instead of crow’s feet and forehead frown lines. Depending on the areas you want to improve, your provider injects Botox into the muscles that cause crow’s feet at the outside corners of your eyes, or above your eyebrows to smooth out forehead lines and wrinkles. Your Botox treatment typically takes just 10 minutes or so. You may feel a tiny pinch when your specialist injects the Botox into your skin, but otherwise, it’s a painless procedure. You’ll begin to notice a smoother appearance of your moderate to severe frown lines and crow’s feet within 24-48 hours, and downtime, if any, is minimal. The team of anti-aging specialists customizes the Botox treatment to your aesthetic goals. If you want to reduce the appearance of crow’s feet, they inject three areas of the muscles at the sides of your eyes. For frown lines between your eyebrows, you may receive up to five injections into these muscles, and for forehead lines, up to five injections across your forehead above your eyebrows. What alternatives to Botox are offered? Dr. Chow’s Rejuvenation Practice also gives patients the option of Dysport® prescription injections. Dysport works like Botox to smooth the appearance of moderate to severe frown lines between your eyebrows. Like Botox, Dysport temporarily relaxes the muscles underneath your skin that lead to wrinkles. Another option Dr. Chow offers is Xeomen. To learn more about Botox and Dysport to meet your aesthetic needs, call the office to schedule a consultation or request the next available appointment using the online booking tool.